I made a list of common questions I get asked all the time about Karatbars. 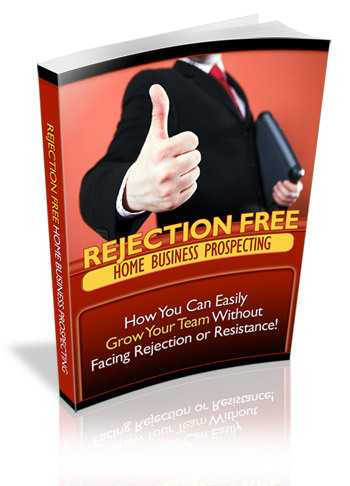 (I found nearly 1000 direct referrals … They asked me a lot of questions! ) I think one of the most common question is “WHAT ARE PROFIT CARDS?” Profit cards have multiple uses and they are valuable. The #1 thing I use mine for is gifting Affiliates 100 euros off the purchase of a Profit Package / VIP Business package. #2 use them to gain 100 KCB Coins or gift them to people to get them excited about the coins when sharing your business. #3 You can also use them to get a 3% discount on classic gold purchases. karatbars unilever plan? The unilevel is the free part of the program. It pays out up to 6% monthly. You only earn from your personal gold sales in the unilevel plan. (Not from package sales and from those placed below you) When you get a business package you will still earn in the unilevel plan And then also in the dual system. See complete details and current promotions in your backoffice under downloads. Do I need to buy gold each month to qualify for commissions? No. Affiliates can earn in the unilevel system even if they don’t buy gold or a package. You must get a package (One time purchase) to qualify for earnings in the dual system. (Optional) Even then you are not required to spend/save weekly or monthly to qualify for commissions. How do I exchange my Gold for cash?how to spend karatbars? Who accepts karatbars? Businesses are being setup to accept Karatbars. (K Exchanges) Also, places that buy Gold jewelry will buy Karatbars or you can sell them on Ebay/Karatbars groups. 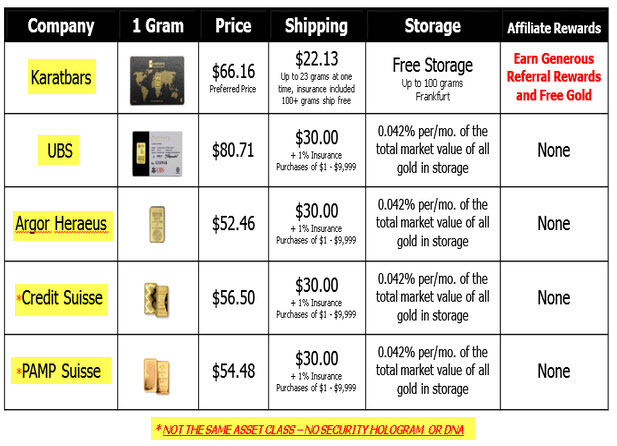 Karatbars offers free storage for most countries. You can store your Karatbars for free at Karatbars. Cashgold can be converted back and forth from digital to physical and even delivered. Soon we expect to be able to make purchases with the gold in our account online. For a current list of who accepts Karatbars, check out the K-Exchange list at Karatbars. can buy Gold cheaper elsewhere? Yes .. but not all gold is created equal. None have our benefits/security features. Plus other places don’t pay you to acquire gold. They don’t let you compound, They don’t pay you unlimited levels down. …Or reward you with trips, cars, gold and homes … Also at other places, how much Gold you can buy will be limited by how much money you have in your pocket. ( We use a system. Like a business uses a franchise or investors use trading systems) Karatbars has competitive prices for gold that comes from LBMA accredited refineries. Gold prices fluctuate during the day. The low price today may be the high tomorrow. Those who don’t by gold because they can’t get it at the “spot Price” are the ones that miss out. We use cost averaging to convert our cash into Gold. Am I required to sponsor? Not required but it only takes two ‘ambitious’ people to earn weekly and get your gold for free. (One on each side) Karatbars is not a HYIP. HYIPs or Profit shares: New investors pay old investors until they run out of New investors … They tend to be ‘PASSIVE’ so that means they will run out of new members faster. Karatbars pays it’s members based on Gold and package sales. Experts expect Gold prices to jump by 300% soon. I’ll take owning more Gold each month over the sites that quit paying or buying over priced food supplements, vouchers etc. I mostly get it. There’s a lot to learn. How can I wrap it all up? Get a free account now and have a look around. “THERE’S NO LOGICAL REASON NOT TO”. Some feel they must learn EVERYTHING before they join. They spend months and months circling the building but refuse to get a free account. (even without obligations) “Go on in” & see for yourself! Hesitation could be a huge mistake. Because by wasting time they miss out on the customers and affiliates we could have been placing below them. (In a straight line down.) We are not building pyramids or signing you up to a monthly gold bullion subscription/purchasing plan. I also setup some training pages … starting here: Click here for Karatbars training. (Must have a gold savings account first) To wrap it up, it’s very important to get to know your sponsor/team. We are here to help you. You are in business for yourself but not by yourself. How does Karatbars ship the Gold? How much is shipping? Karatbars uses insured Fedex. Around $25 (here in the US) flat rate. It takes about two weeks. Does Karatbars have banners and replicated sites? You can invite prospects to the main site with your referral link or use a third party replicated site. ( one time fee of $10 ) I have been providing a copy of my sales page and banners to members who join here. * Update. Karatbars now provides us with free landing pages to use and a robust marketing system. Is karatbars legit? Or Is Karatbars a scam? “I was in a Gold program once and it was a scam. This is probably just another scam.” Scams exist in every market and new ones are invented everyday. ( Mostly “investing” sites ) Karatbars is a world apart from them and you can build a career working with Karatbars. ( PDF .. are all investments sites scams? ) The Karatbars Gold bars come from LBMA certified refineries, they are trusted by top consumer watchdogs and the Vatican. You can visit their home office ( Also a new office coming to Wall Street) or give them a call. “Money become worthless? Yeah right!” You need $100 today to buy what you could get for $2.00 in 1913. Freaky huh? Also, look into what happened to Turkey and Romania in 2005, Argentina in 1992, Russia in 1998, Germany in 1923, or Bizone/Trizone in 1948. Experts are expecting our cash to loose purchasing power faster than it ever did before. “My country is not listed with Karatbars or the site will not let me buy a package.” Call customer service about these scenarios. Phone 1-224-829-0047 Management hours (8am – 5pm German Time) Germany is 6 hours ahead of eastern time zone. Call early in the morning. “My friend said Karatbars is a pyramid scheme.” This video has been used in courtrooms to explain how and why a fair compensation plan works. karatbars business cards?Where do customers find the business cards that have gold in them? Have them get a free account and check out the products. You also get a website that displays the karatbars products. What sold you on Karatbars or “What finally sold you on Karatbars”. I can’t say one thing sold me on Karatbars. (Like “The Gold”) It was a combination of things. I once invested in small startup companies and penny stocks. Could you imagine looking at a list of 10,000 businesses and all of them telling you their company was ready to explode? Been there. Done that. Burnt the list. Picking the winners is how we got our home. Same way with making money online. There’s thousands of online money making opportunities to choose from. Karatbars made the most sense to me. Because you get something to show for your money. Legit networking companies must have their own product or service. Most of them bill you (auto ship) for a lotion, potion, software or membership. What do you end up with at the end of the year? Empty wrappers? A garage full of stuff (with expiration dates) you can’t even give away? On top of that, after another year goes by, your dollars will by less! Gold is wealth protection. It was used for money and still is. It’s like exchanging 4 quarters for a dollar. Do you spend money when you do that? No. Win Win. Many think our collector cards with one gram of gold in them will be worth $1000.00 each someday. Gold always looks good on your asset balance sheet. There’s no “maintenance fee” and gold doesn’t have an expiration date. Do I get FREE SUPPORT? Yes. For me .. I have been kind of a “loner”. I ran my own business for 10+ years. But came to appreciate our upline’s support. He’s in the inner leadership counsel and his role is to coach us through guidance, support and encouragement. His (free) coaching has helped our team build their income and financial independence.Getting paid is important too. I dealt with many affiliate programs in the past. Lots of them make you jump through hoops just to get paid. Example: High pay threshold, (Make a $100 before you can withdraw) Long waiting periods. (a month, 2 or 3 months) Many use money processors that are shady. Example; I lost money that was sent to me in Liberty Reserve. It’s common for online money making opportunities to just plain disappear or quit paying. Imagine having $60,000.00 in earnings you can’t withdraw! ( Been there. Done that) With Karatbars, They load your (international) debit card weekly and they will send your gold whenever you want it.Gold pricing. I knew those with the investor mindset would have a problem with the Karatbar collector card prices. Because I could relate. I knew Karatbars could not let us have the gold for what they paid for it. Because they had to pay for employees, staff, their building, company debts, utilities, accounting, web support, production, legal, banking, card services, shipping & receiving, commissions, cyber security, vaulting, armored delivery, worldwide expansion hubs, support interlinks and premium rewards for affiliates. (Trips, gold, cars and a Villa built for you) They do offer the 3% bonus cards and volume discounts tho. If you invite others they reward you with BONUS gold … that’s the best price I ever paid (FREE)Our upline was formerly in the financial industry, (Like the company owner, Harold Seitz) He has great knowledge about this industry as well as this business. He is a fun loving person and has a big heart for other helping people & I have personally experienced that first hand. He is truly enjoying the benefits financially that Karatbars offers. I encourage everyone that joins … to connect with our upline and see what it’s like to have heavyweights in your corner. ( they prefer to speak with serious people only. Ones who did their KYC and got a package) … These are some of the things that sold me on Karatbars. 1. Do you think a $100 Bill is going to buy as much in 2 years as it does today? 3. If you had a safe that was not to be opened for 5 years would you rather fill it with $1600 in cash or $1600 worth of Gold? 4. Does the company you work for ask if you want to be paid in cash, GOLD or a combination of both?. 5. Why do you think there are so many GOLD for CASH stores all over the world? Profitable? 7. If you were given 1 acre that had 1 million dollars worth of gold buried on it .. would you dig it up? Would you get some friends to help you? Click here to setup your free Karatbars account with no monthly fees, free sales pages and free storage. Recent question about Karatbars. “Hi, just a quick question, if I register as an affiliate without a business package and I start introducing new affiliates to Karatbars providing them with my referral link, will I earn commission on business packages they buy, which the company will keep aside for me in order to use that commission to buy my own business package? I understand that there will be no dual commission until I buy my own business package. Thank you so much for taking the time to read my question.” Answer: No. Commissions from package sales are part of the dual system. You can earn from gold sales though without a package. (BY SIMPLY HELPING SAVERS SAVE. Recent question about Karatbars. “Everytime I upload with a zip file my address it will not take. Any suggestions because I am using Winzip a reputable file and nothing happens.” I would stick with the original file format. Compresses files (zip, rar tar etc ) may not be recognized. Tokens will be credited to your account/wallet automatically. My Reply: Please help me understand. It’s free to join with absolutely no obligations. your special link and you get paid when they purchase something. Share your Karatbars link on Facebook. Find 2 like minded people / savers … Get paid over and over. No risk. I found 2 people that got excited (on facebook In Botswana and Cyprus) so I upgraded to a business package. (To get into the Dual system) ..It’s optional ..also with no monthly obligations. make money while you sleep. Even if you are a vegetarian! -Or … By Karatbars risk do you mean risk your reputation? We do business with the Vatican … and Fedex insures our gold deliveries. ( Fedex wouldn’t risk backing FAKE gold right? 🙂 …And we get paid on a Mastercard. – I feel CRYPTO is a gamble/risky. Ours is different though because it will be backed by gold .. not just an idea/hype. – You can acquire the gold/crypto/ business packages without using out of pocket money. If you have NO equity we have the option to use good old sweat equity. I think most people can do this. ..
Little risk .. great reward. End of rant 🙂 “If a person has 100 excuses not to join Karatbars .. they will have 1000 reasons why not to DO Karatbars after they join”. Karatbars is easy to do and easy NOT to do. Cheers! Do you earn nothing after buying a profit package and you not able to get anyone to sign up to get commissions ? No residual income/commissions unless you bring in 1 or 2 active people. ( You can earn from one active leg now ) But you get KCB coins with your profit package and you may get “love from above” (Spillover/Units) eg: I placed nearly 1000 people under my first 2 referrals and only built 2 lines down. ( Didn’t branch off and build under friends and family) Good luck! And have a Gold day.